Yes, Chinese New Year is coming. This year, instead of bonding over the usual games like mahjong, blackjack or dai di, why not try something different? Instead of betting on luck, these gathering-friendly games require you to rely on your creativity, logic and wit to win. Remember all the times your ah ma conversed with you in dialect and you’d just nod and smile because you didn’t understand a single word? Say What? 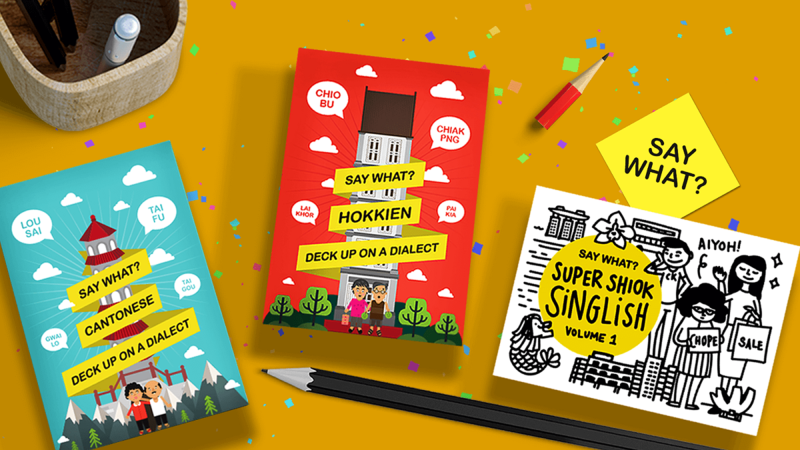 is here to improve your dialect skills! The reader takes one card each from the blue and red decks and combines them to form a phrase in dialect or language. The reader then reads and acts out the phrase and his/her team has one minute to guess what it means in English to score a point. The process is repeated between both teams until the cards run out and the team with the most number of correct answers wins. Team A’s reader picks a blue card that reads “ngoh sei” (“I eat” in Cantonese) and red card that reads “katt chat” (“cockroach” in Cantonese). Team A’s reader has to say and act out “Ngoh sei katt chat”. Enjoy a good laugh with your family and relatives as you stumble over mispronunciations and awkward acting. Chinese New Year is a great time for bonding, take the chance to have some fun whilst learning a new dialect or language! 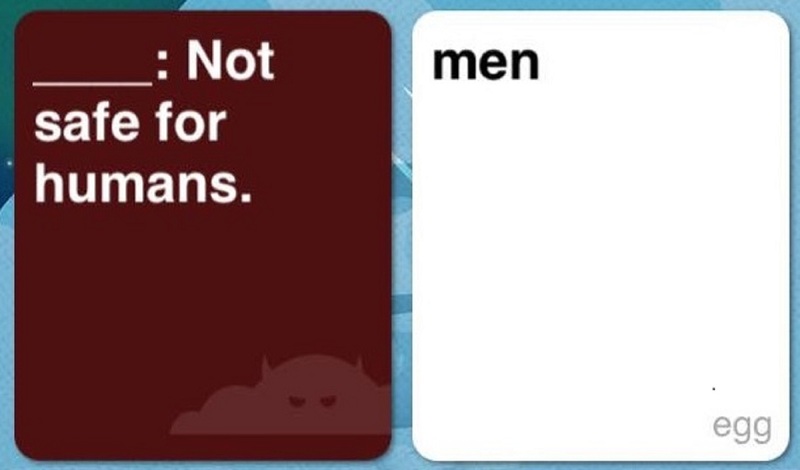 Evil Apples: Dirty as _____. The answer cards are all filled with politically-incorrect words or phrases so you can’t win the game by being nice. The game continues until one player wins seven rounds. Question: What makes God cry? Instead of scrolling through endless feeds of social media during a long commute to your relative’s house, why not indulge in your singer-wannabe self? All aspiring Nathan Hartonos and Joanna Dongs will get a kick out of this game and the best part is, everyone in the car can participate – even the driver! While you only earn bragging rights for winning at the games above, GrabHitch is giving existing Hitch Drivers a chance to win over $100,000 cash prizes and vouchers this Chinese New Year. To find out how to grab that grand prize of $1,888, or if you’re new to Hitch, join in the fun and sign up here.